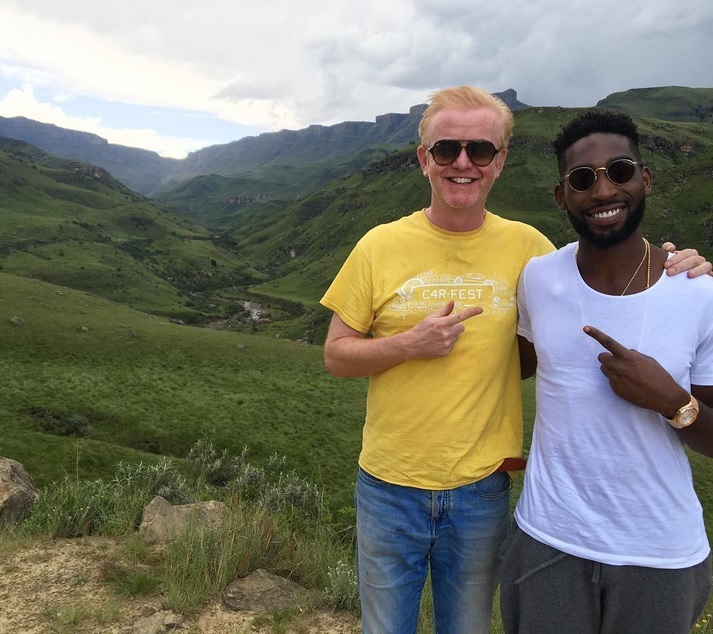 If you watched the new series of Top Gear this week, you probably enjoyed the guest appearance by Tinie Tempah who joined the gang on a trip to South Africa and became Matt LeBlanc’s co-driver. For those who don’t already know, Tinie is a British rapper, singer, songwriter, and record producer who’s had a string of hits and number one singles. But music isn’t all that Tinie Tempah is known for. 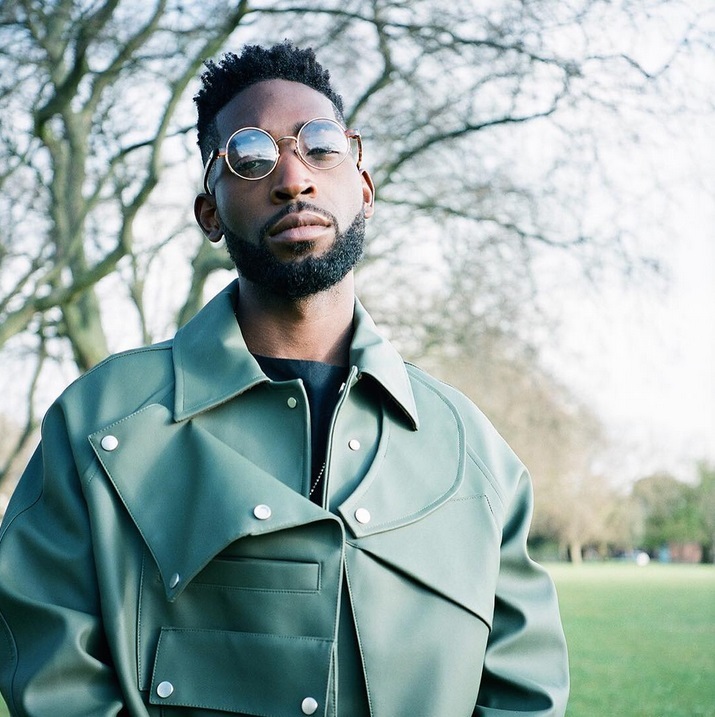 It’s no secret that Tinie is a big eyewear fan. In fact, you’ll rarely see the well-dressed star without a pair of stylish specs or designer sunglasses on his face. 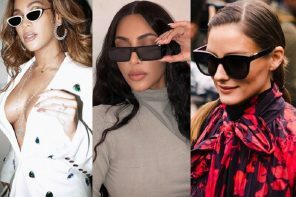 He regularly shares selfies wearing his favourite frames and just last week, he showed off part of his extensive eyewear collection in an Instagram post, which featured a huge haul of Linda Farrow eyewear. There’s no doubting that Tinie Tempah is an icon when it comes to modern men’s eyewear style. So, here’s our lowdown of his top 5 glasses and sunglasses looks to date. As we’ve already mentioned, Tinie Tempah appeared as a guest star on Top Gear and here he is with the show’s new host, Chris Evans. In this photo, Tinie is wearing what has become his signature sunglasses style; round shades. This retro-inspired look is one that he rocks regularly. 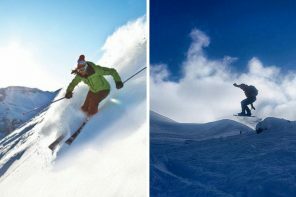 To get the look, try the G Star Raw GS102S – Metal Tucson sunglasses from SelectSpecs. 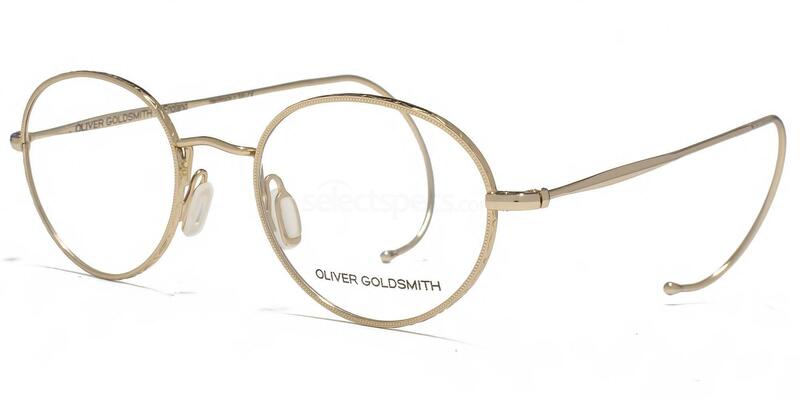 Just like Tinie’s, they feature small, round lenses with gold-coloured frames for a vintage yet totally on-trend style. Back in January, Tinie attended London Collections Men, a huge event on the British menswear calendar. He dressed up for the occassion, wearing a suave all-black emsemble which he finished off with a pair of sleek black shades. 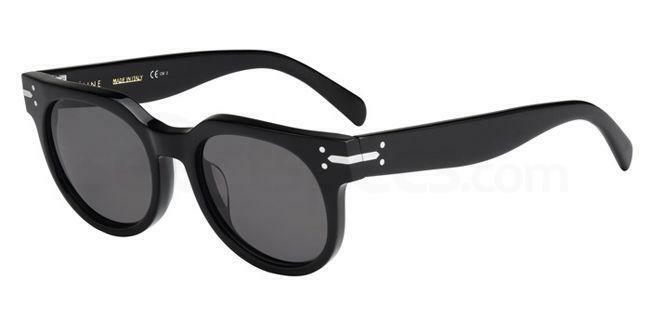 We’ve identified Tinie’s designer shades as the Celine 41080/S sunglasses. Finished in glossy black acetate, these stylish shades feature chunky frames, rounded lenses and Celine’s instantly recognisable metal detail on the sides. 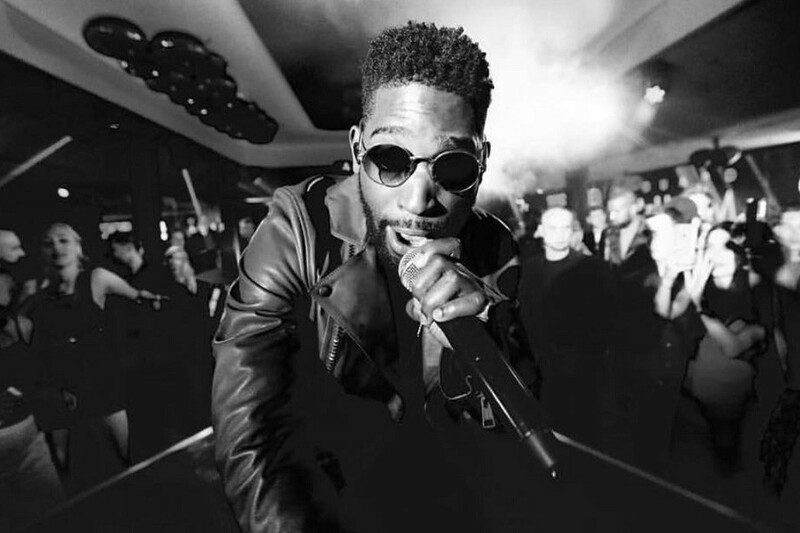 Tinie’s eyewear style is most often associated with round frames, but occassionally he experiments with other types of sunglasses. In this snap taken with artist Romero Britto, Tinie is sporting another retro-inspired style that looks great on him; the classic clubmaster. For a similar vibe, check out the most iconic style of clubmaster shades, the Ray Ban RB3016 Clubmaster sunglasses. 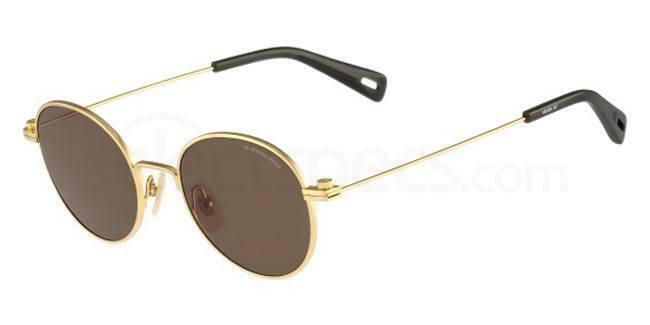 Gold metal frames are finished with bold browline detail in black or tortoiseshell brown. 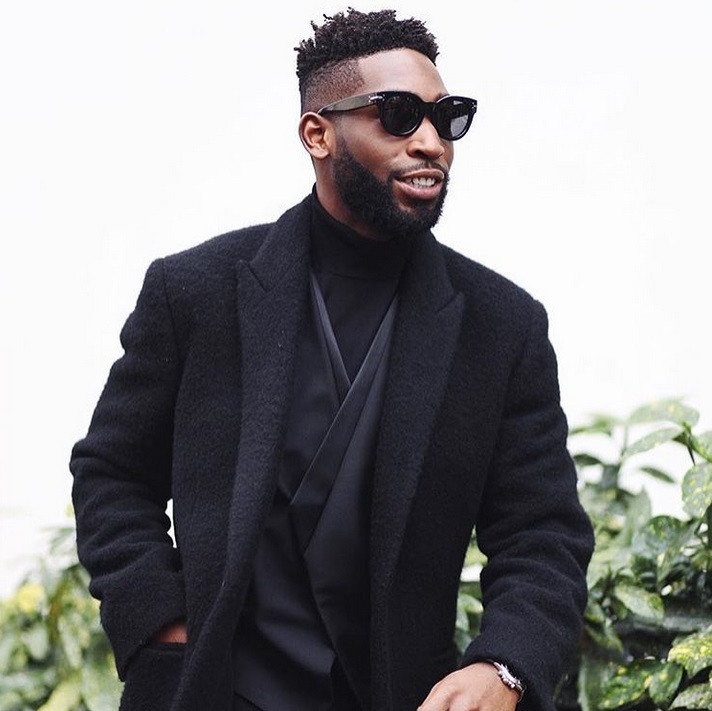 Our next favourite look is one that we’ve seen on many celebrities, but only Tinie Tempah can make it look this effortlessly cool. 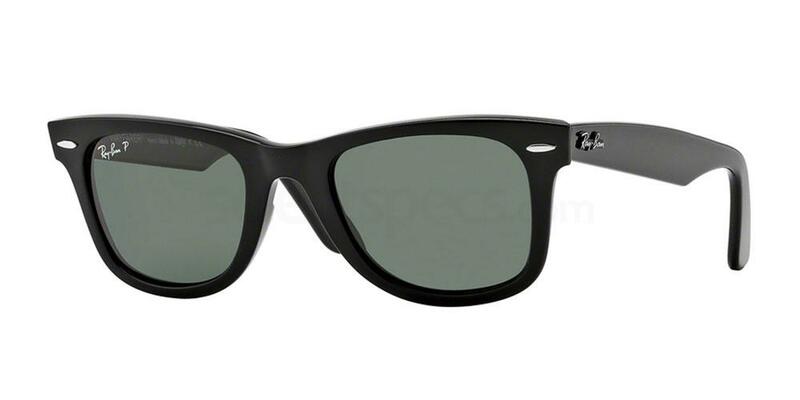 We’re talking about the original wayfarer frame in classic black from Ray Ban. 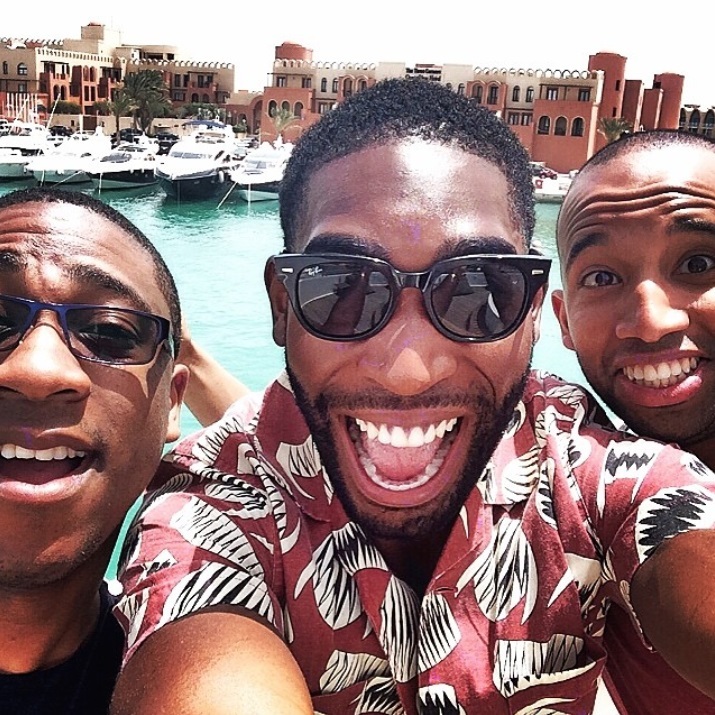 Tinie rocked this look last summer while on holiday with friends. 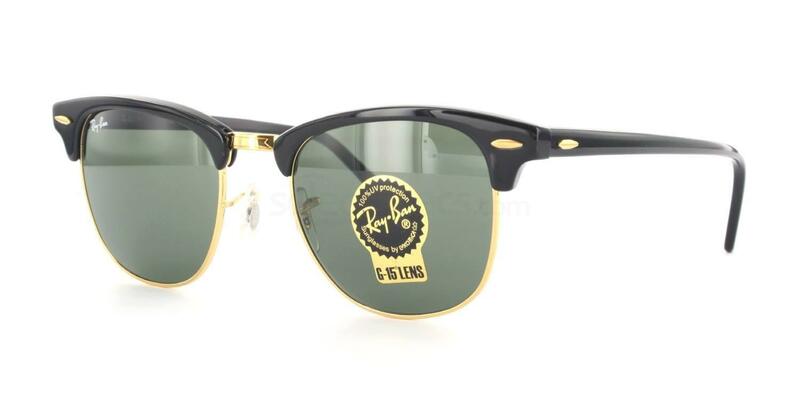 The Ray Ban RB2140 Original Wayfarer sunglasses need no introduction, but if you love this look you can find them online at SelectSpecs. Last but not least, number 5 on our list of Tinie Tempah’s best eyewear looks is a pair of glasses. That’s right, it’s not just sunglasses that Tinie looks great in. 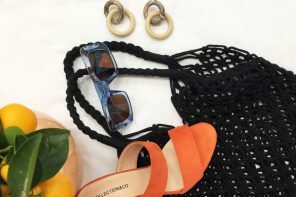 His most popular specs style of choice are very similar to his favourite sunglasses shape; they’re a pair of retro-inspired round glasses with gold frames. Steal Tinie’s specs appeal with the Oliver Goldsmith OLI001 CHARLIE glasses, which feature similar circular metal frames. 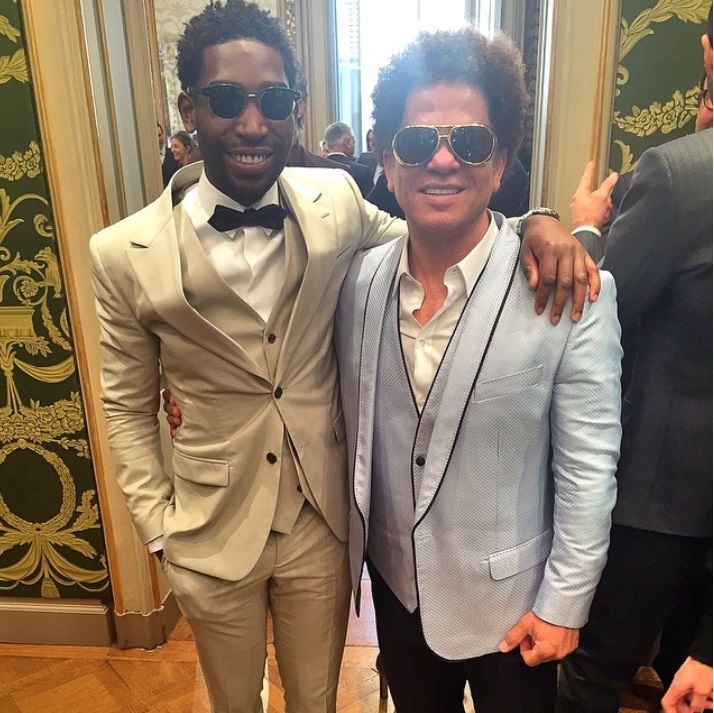 Which of Tinie Tempah’s looks do you rate the highest? If you’ve been inspired by his eyewear style, shop our full range of men’s sunglasses and glasses online at SelectSpecs. Next articleDrake Shocks Fans by Wearing Pink Sunglasses!